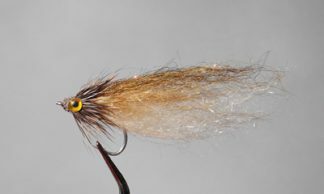 This is another creation of Daryl White. 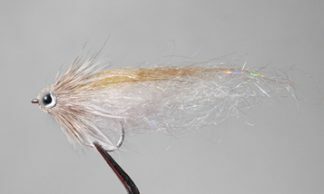 It is an extremely effective baitfish imitation, especially in shallow water conditions. 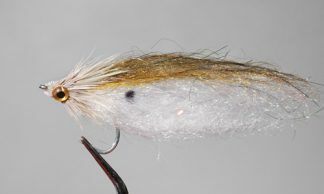 The deer hair head allows the fly to obtain neutral buoyancy so when stripped it doesn’t dive when at rest. 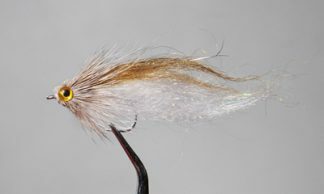 The deer hair also pushes water so the fly gives off some vibration that fish can sense in dirtier water. It also works great behind a Vibra blade for active fish.